Welcome to the Crew & Volunteer page. Harambee Pasadia is a small festival and we count on our fantastic volunteers to help keep the festival running. 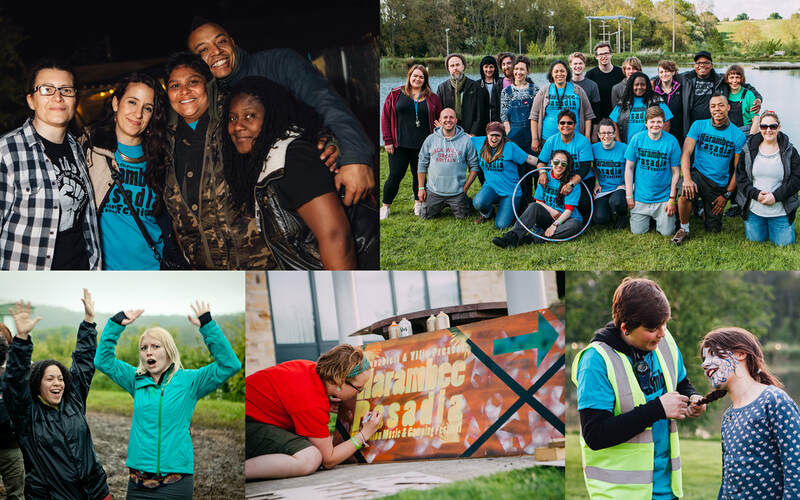 Whether you want to learn skills, make friends, gain experience in festival delivery, set-up/take down, expand your networks or strengthen your CV. As part of the volunteer team, you will need to commit to working Four 6 hr shifts with breaks. In return we provide a meal per day/shift worked (we can cater for dietary requirements apart from severe nut allergies). The rest of the time you can relax and enjoy the festival for free! Harambee Pasadia volunteers must be smart, professional, reliable and friendly. You will be working together with a supportive group of experienced people, all working for the same goal of making the weekend a memorable experience for all.